As a functional medicine doctor we often have patients come into us after seeing several other providers. 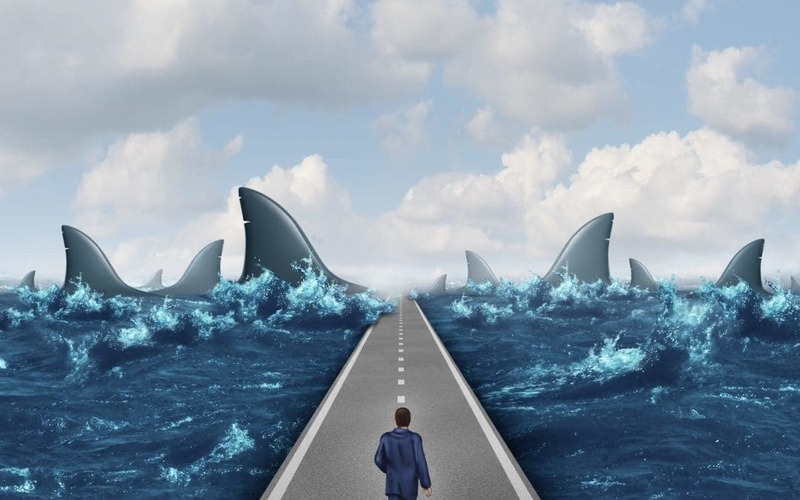 Many have been everywhere their insurance will pay and started down the road of non-insurance providers. It is extremely common for a patient to come to me with a diagnosis of Candida from a chiropractor, naturopath, or other natural health focused practitioner. Unfortunately, this diagnosis is often made without any lab testing whatsoever. Many patients will take a symptom quiz to see if they have Candida. Do you have any of the following symptoms? The problem with the above list of symptoms is not that Candida can’t cause all of those symptoms. In fact a person with Candida can absolutely have all 10 of those symptoms. The problem is bacterial overgrowth (SIBO) can cause most of those symptoms… so can other things such as Lyme disease, parasites, mold, viral reactivations, chronic stress hormone elevations, poor circulation, and more! If you have these symptoms and blame it on Candida but it is really coming from something else your “Candida therapy” will fail to get you healthy! We strongly believe YOU will get better results improving your health if you only accept a diagnosis of Candida based on a good lab test showing you have a positivity. I recommend either a stool test or an organic acids test because Candida overgrowth is a BIG DEAL if you have it…but trying to fix yourself by doing something to eliminate Candida when it isn’t really there is a waste of your time! For more information on our Stool Test please click HERE. In short, you will find more benefit from the stool test if you are looking mainly at the gastrointestinal system for direct gastrointestinal symptom. Do you have indigestion, diarrhea, constipation, heartburn, gas/bloating etc. If the goal is to improve digestive function this test is probably best for you. For more information on our Organic Acids Test click HERE. In short, you will find more benefit from the Organic Acids Test if your goal is to work on how the gut is connected to other parts of your body. 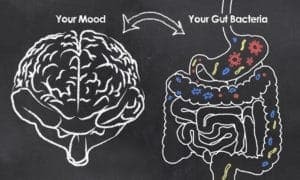 Do you want to know how your gut is affecting your energy or your brain or your detoxification systems? This test is more valuable for showing the relationships of the gut to the brain, liver, and neurological systems. In our office, we help many patients suffering from Candida overgrowths, but almost only if they have had a positive result on one of those tests we mentioned above. 2. The 2nd step Candida takes to break down your gut barrier is it produces hyphae which project into the cell wall and releases degrading enzymes which break down the gut epithelial lining and cause leaky gut. 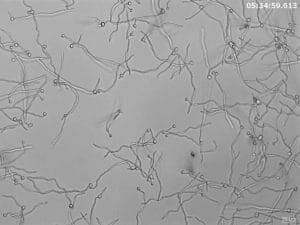 On the picture to the right the small circles are the candida and the long line are the protein hyphae that bore into the gut cells and secrete their toxins open up the gut’s tight junctions and give you “Leaky Gut”. 3. Once you have Leaky Gut partially digested food particles, bacteria, and really anything is able to go directly into your blood stream. The body has to respond by activating the immune system to kick out the invaders and this creates inflammation. It also burdens the liver’s detoxification system as it has to clear out a plethora of chemicals and toxins that should never have gotten into the blood in the first place. The net effect is you (the patient) end up with increased reactions to foods, hormone imbalances, chemical sensitivities, low energy, brain fog, and joint pain. 4. But wait we still are not done! Candida also produces its own toxin to put into your blood stream once its broken down the gut barrier. Gliotoxin is produced by Candida Albicans and the mold Aspergillus fumigatus. This gliotoxin suppresses your immune system and helps the infection to perpetuate indefinitely. With an dysfunctional immune system it also opens your body up for polymicrobial dysbiosis of other bacteria, parasites, or viral imbalances that all weigh on the system and contribute to what Dr. Alex Vasquez calls the “Total Microbial Load”. The other bugs that normally live in balance with us grow crazy because of the dysfunctional immune system created by the Candida. Remember Candida is a huge player that can affect your health, but accepting a sloppy diagnosis can lead you down the wrong path for months. Candida is an absolute monster which creates leaky gut, weakens your immune system, and creates an environment of inflammation on the body. To find out how to best overcome a Candida overgrowth please read out next article about Candida Solutions.